Ottawa PHP & MySQL Experts with Over 15 Years of Experience - Hire the best! The PHP scripting language is becoming a ubiquitous technology on the web. It has gained popularity due to its open-source license (i.e. freely available) and its close integration with other popular applications MySQL and Apache. 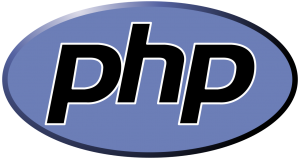 PHP is used by major web properties such as Facebook and Digg. N-VisionIT’s development team are PHP experts. This includes basic implementations such as templating & database interaction as well as advanced techniques such as object-orientation, web-services integrations and multi-threaded command-line scripting. We are familiar with a variety of PHP frameworks including: Smarty, CakePHP, CodeIgniter, Yii, Laravel, Zend as well as many applications powered by PHP including: WordPress, Joomla, Drupal and many, many more.